Tag Archive | "intellectual property"
The unreasonable expropriation of intellectual property or the advancement of public health? This was the question posed by Philip Morris Asia Limited v. The Commonwealth of Australia. In 2011, Australia passed its “plain packaging legislation,” creating restrictions on the fonts, size, colors, and location of tobacco brand marks on product packaging. The legislation also requires enlarged health warnings and creates limitations on the quantity and color of cigarette products per package. Needless to say, tobacco companies across the world were outraged. Philip Morris Asia (“PM Asia”), a Hong Kong corporation, owns Philip Morris Australia (“PM Australia”) and PML, both incorporated in Australia. PML owns a whole slew of tobacco trademark licenses that were negatively impacted by Australia’s plain packaging legislation. PM Asia brought suit under the 1993 Agreement between the Government of Hong Kong and the Government of Australia for the Promotion and Protection of Investments (“BIT”). Its primary argument was that the legislation’s trademark limitations unreasonably expropriated the value of PM Asia’s investments in Australia. The Commonwealth responded with a thoughtful and solid justification for its legislation as a means to protect the public health of its citizens. The government also convincingly alleged that PM Asia was likely abusing its power under the BIT, in light of its awareness of Australia’s ongoing efforts against tobacco sales. So who has the more convincing argument? On the procedural front, this case most favorably leans towards Australia. PM Asia had the ability to consider any potential economic impacts to its business prior to its acquisition of PM Australia and PML given its awareness of Australia’s ongoing efforts against tobacco sales. It, therefore, cannot argue that its intellectual property or the value of its Australian investments has been expropriated due to the plain packaging legislation. This prior knowledge will likely be seen as an abuse of power under the BIT. But in a broader sense, it’s worth questioning whether Australia is overreaching its bounds as a regulator by unreasonably inhibiting consumer choice. Is it reasonable for a government to dictate the consumption of social vices by its citizens? To begin purely in the realm of philosophy, on one end of this dispute is the claim that such vices (e.g., gambling, alcohol, tobacco) exist in the market simply because there is a demand for it. If citizens want to consume such products and/or services, that is their choice, and governments should not inhibit the free will of its citizens. On the other end of the spectrum is the contention that the government was created for the sole purpose of enhancing the quality of its citizens’ lives by creating order, a system of checks and balances, levying taxes, and providing social welfare services. Vices such as smoking inhibit citizens’ quality of health. Furthermore, private corporations solely concerned with profits will do whatever is necessary, by way of catchy advertising and alluring products, to exploit the weaknesses of human character. It is, therefore, the government’s responsibility to protect the citizenry from such deceit through legislation like the one in question in this case. There is no easy middle ground in this case. Therefore, I think it would be wise to step away from vices and social conduct, and turn, instead, to the role of intellectual property in international business. The plain packaging legislation can, in many ways, be seen as giving a government broad-reaching authority over international trademarks. This, I believe, is a more easily settled debate. To take away a corporation’s right to use its own distinguishing mark, over which it has a legal right to exclude use by others, strips it of its ability to engage with its consumers. The entire concept of brand loyalty becomes compromised. To limit intellectual property use in an industry often burdened with social stigma can serve as a starting point for further and more restrictive regulation of intellectual property in other industries. There is no such thing as moral utility in the world of intellectual property law. To keep it as such is the necessary tradeoff for promotion of innovation and advancement globally. Philip Morris Asia v. Australia, Case No. 2012-12, Notice of Claim, (UNCITRAL Jun. 27, 2011). Philip Morris Asia v. Australia, Case No. 2012-12, Australia’s Response to the Notice of Arbitration, (UNCITRAL Dec. 21, 2011). Shirin Lakhani is a 2L JD/MBA candidate at University of Denver Sturm College of Law and staff editor on the Denver Journal of International Law and Policy. Earlier this year, from March 30 to April 1, the World Intellectual Property Organization (WIPO) put on the Seminar on Intellectual Property and Genetic Resources, Traditional Knowledge and Traditional Cultural Expressions: Regional, National, and Local Experiences (Seminar). Justice Joseph Williams of the High Court of New Zealand expressed, in his opening address, his belief that the seminar was “an opportunity to take stock, evaluate why the subject is important in the world legal order, and why movement is required.” Globally, indigenous cultures have been subject to rampant cultural appropriation of their traditional knowledge (TK). On the international stage, little has been done until recently to provide protection. But the problem is that intellectual property laws traditionally can do little to provide protection. Finding a solution to such a delicate and complicated issue is why seminars like this are important. The Director General of the WIPO could not have been more correct in his assertion that the seminar was timely. There has been greater recognition in recent years of the effects of cultural appropriation on indigenous peoples. 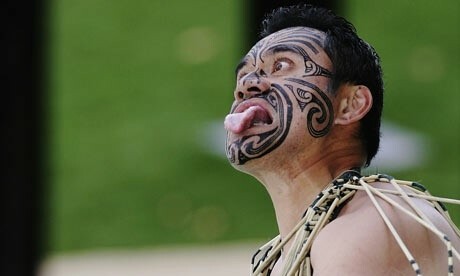 For example, in 2009, the Maori of New Zealand were officially handed back control of the Haka war dance after a decade of legal battles. The dance was being appropriated by the New Zealand All Blacks rugby team. Cultural appropriation like this undermines the traditional significance, including the spiritual value, of cultural property and TK. And for the Maoris (and many other indigenous peoples), such cultural appropriation is not an isolated incident. Sometimes, like in the case of the Haka dance, indigenous peoples gain back control of cultural heritage. However, even in that instance, the agreement reached between the Maoris and the New Zealand government is seen as largely symbolic. This is because, in many cases, traditional intellectual property legal schemes cannot adequately protect indigenous intellectual property. Intellectual property rights, as they currently exist, are meant to protect individual innovation and only for a limited time period. But indigenous TK is traditionally “communally generated and collectively owned.” Without some sort of modification, or a completely different intellectual property system, indigenous TK will continue to be inadequately protected. However, coming up with a solution to this problem has been difficult. The WIPO’s own committee on the issue was prevented from meeting this year due to internal disagreements. The Seminar’s aim was to bring together different viewpoints and to “exchange experiences of treatment of traditional knowledge,” And there were many differing solutions brought to the table from around the world. No two were alike. And while regional approaches may have their benefits, without an international intellectual property scheme, how would indigenous peoples protect their TK from being exploited oversees? Although there are disagreements within the international community about what to do to protect indigenous intellectual property, the goal should be to implement an international legal scheme. Some governments and communities are already on board with an international solution and “have called for an international legal instrument providing sui generis protection.” An international solution would standardize indigenous intellectual property rights and provide some measure of certainty to indigenous peoples that their TK will not be exploited. Current intellectual property legal schemes are inadequate to protect indigenous inellectual property, but protection is sorely needed. The Seminar is an important step to hopefully reach international consensus on how to best approach the situation. Worldwide, cyber espionage cost an estimated $1 trillion in expenses last year alone. On average, trade secrets are worth two-thirds of a company’s information portfolio. For knowledge-intensive industries, trade secrets are worth even more—up to 70 to 80 percent more, on average. Intellectual property theft costs American companies $250 billion annually, while cyber crime rings in at more than $338 billion total. That means, on a yearly basis the annual theft of intellectual property from U.S. businesses is worth nearly the same amount as the current value of exports to Asia. A European Commission study shows that over the past ten years, approximately twenty percent of responding European companies has experienced at least one attempted or successful theft, and nearly forty percent of responding companies believe that they are more at risk in the past ten years than ever before. In 2007, Japan’s Ministry of Economy, Trade, and Industry conducted a survey of 625 manufacturing firms and found that more than thirty five percent of those responding reported some form of technology loss. South Korea approximates economic espionage damage has more than tripled from 2004 to 2008. Sixty percent of these victims are reported to be small- and medium-sized businesses. Germany’s Federal Office for the Protection of the Constitution appraises the value lost by German companies to be between $28 billion-$71 billion annually due to foreign economic espionage. Economic espionage also costs Germany between 30,000 and 70,000 jobs per year. A Canadian report claimed in 2010 that eighty six percent of large Canadian corporations had been victimized, and that cyber espionage against the private sector had doubled in the past two years. The United Kingdom estimates that attacks on computer systems, including industrial espionage and theft of company trade secrets, cost the private sector $34 billion annually, of which more than forty percent represents theft of intellectual property such as designs, formulas, and company secrets. There is no international treaty specifically governing economic espionage. The desire to combat economic cyber espionage confronts a lack of international law on espionage and economic espionage. Although a victim country could assert that spying violates the principles of sovereignty and non-intervention, state practice has accepted state-sponsored espionage such that these appeals are not serious claims. International trade law, however, does provide a minimum for protection of trade secrets as an intellectual property right. In particular, trade negotiations and dialogues can offer effective means to elevating the importance of trade secrets protection, raising global standards, and promoting more effective deterrence. Under the World Trade Organization’s (WTO) Agreement on Trade-Related Aspects of Intellectual Property Rights (TRIPS Agreement), WTO members are required to protect intellectual property rights, which include trade secrets. TRIPS Article 39 requires WTO members to protect undisclosed information that is secret, is commercially valuable because it is secret, and has been subject to reasonable steps to be kept secret. The TRIPS Agreement also requires that members make available civil judicial procedures concerning the enforcement of any intellectual property right covered by the Agreement. Also, TRIPS allows “criminal procedures and penalties to be applied in other cases of infringement of intellectual property rights, in particular where they are committed willfully and on a commercial scale.” Aside from failing to enforce its own laws, a government may be pursuing an “indigenous innovation policy,” in which tech handovers are a prerequisite to market entry. For example, the Chinese government has measures and policies that condition market access or investment in China on the transfer of intellectual property from foreign to domestic entities. Global firms feel that the threat of cyber espionage and trade secret theft are higher coming from China, Pakistan, Russia, and India than from the rest of the world because of corruption and inadequate protections for intellectual property. According to a survey by the U.S. International Trade Commission (ITC), only 0.6 percent of U.S. firms that reported material losses due to trade secret theft between 2007 and 2009 in China pursued any trade secret misappropriation proceedings in China due to imprecise standards, a lack of deterrent penalties, and a host of procedural difficulties. 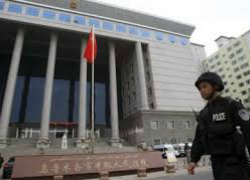 Only an average of thirty percent of trade secret cases brought in Shanghai Higher People’s Court reach conclusions and fewer than half of those result in findings of infringement. The most troubling form of economic espionage is state-sponsored espionage that obtains information from private-sector companies located outside their territories. Even if there were a clear rule that a victim could show was being violated, the victim nonetheless has to establish the identity of the responsible party. WTO cases have yet to involve accusations against government-sponsored espionage, so the difficulty of doing so is untested, and therefore unpredictable. It is not clear that a WTO member could satisfy this burden by relying on evidence from private-sector entities such as The Mandiant Report and without revealing counter-intelligence means and methods. This is why the state privilege justification of “national security” can sometimes be a bigger burden than a benefit. It is invoked often, and the public has no way of determining the feasibility of the claim. The general public has no idea what their government is doing in the name of national security because it is classified. Therefore, challenging a government’s cyber espionage is particularly difficult because a government will be reluctant to hand over classified information that can be used as evidence against it, and it will claim national security as the basis for withholding such information. Additionally, a government’s participation in spying sends the message that economic espionage is acceptable and lawful in that country, which companies think means that there can be no state responsibility under international law. The U.S. is currently negotiating two major trade agreements. 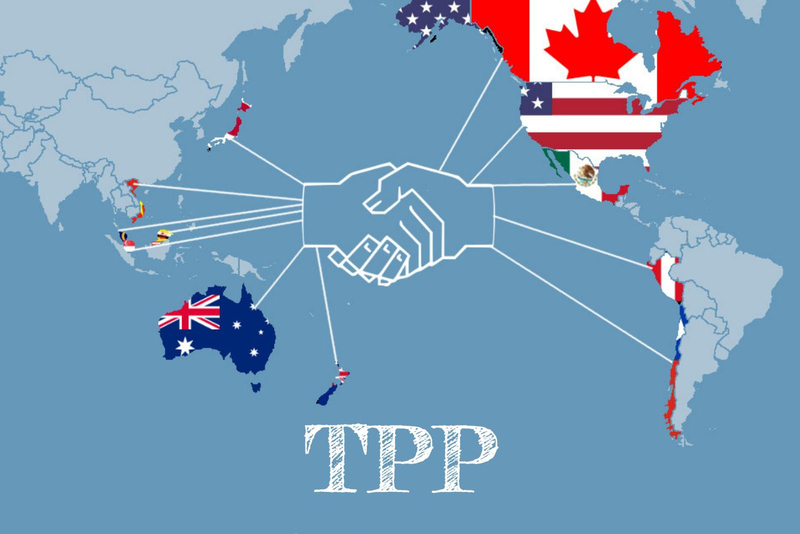 The Trans-Pacific Partnership Agreement (TPP), which involves 11 other countries in the Asia-Pacific region, and The Trans-Atlantic Trade and Investment Partnership (T-TIP) with the EU both afford opportunities for cooperative advancements in the protection of trade secrets that would help to establish a stronger and more uniform standard worldwide. The U.S. has also been talking with China about a Bilateral Investment Treaty, which allows equitable standards, a better market access for investors, and a forum for dispute resolution between countries. These kinds of talks are definitely a step in the right direction, but it is going to take more than that to establish a norm workable on a widespread level. Time is not something that the economy can afford though, with the ever-increasing expenses caused by escalating cyber snooping and violations of intellectual property rights.